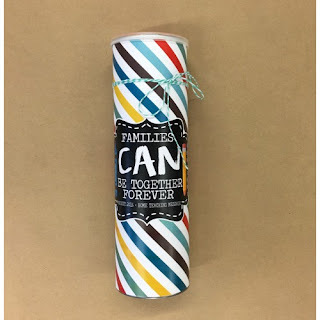 "Families CAN be together forever" - is the message displayed on our darling Home Teaching Gift this August. 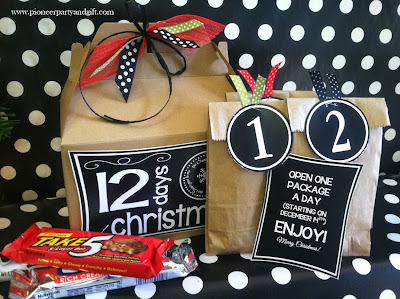 We have made a darling wrap to go around a can of Pringles potato chips. 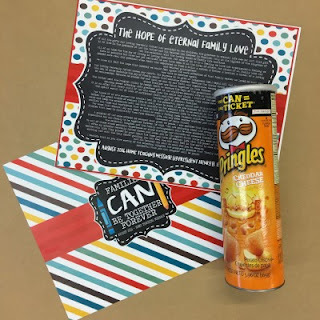 The message from the Ensign (written by President Henry B. Eyring entitled "The Hope of Eternal Family Love") is included. 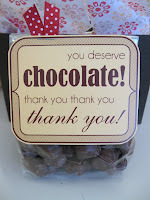 A perfect gift to take to your home teaching families! Summer is on its way out, which brings everything "back to school" themed - notebooks included! 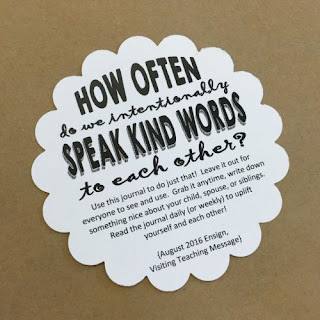 The August Visiting Teaching message is about "nurturing families" and we loved how the message pointed out that "one of the best ways to invite love and harmony into our homes is by speaking kindly to our family members." 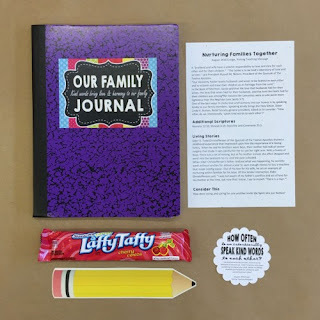 We decided to create a "family journal" notebook - in hopes that it can be left out for everyone in the family to see and use often. 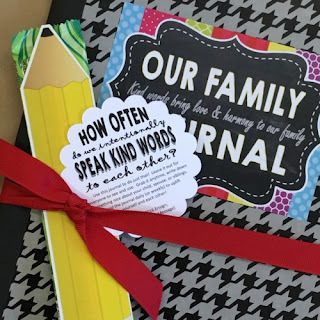 Grab it anytime, write down something nice about your child, spouse, or siblings. Read the journal often to uplift yourself and each other! 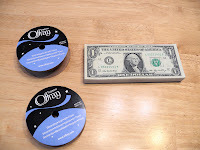 Comes with a laffy taffy candy as well as the full message from the Ensign. Come visit us in the store or buy online here!